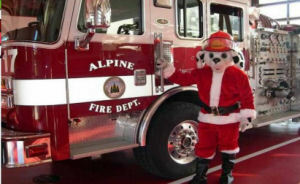 December 17, 2012 (Alpine)--The Alpine Fire District will be accepting new, unwrapped toys for our local families who have fallen on hard times. Throughout the years, your generous donations have brought great joy to many children. The toy barrel is inside the foyer at the fire station located at 1364 Tavern Road. Please stop by and fill the barrel so we can brighten the holidays for the children of our community. 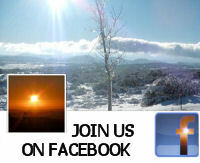 Office hours: 8 a.m. to 5 p.m. M-F Closed from 12:00 p.m. to 1:00 p.m. Gift cards for food and gas are always good for the families too.